This non-repainting indicator displays harmonic patterns with minimal lag. 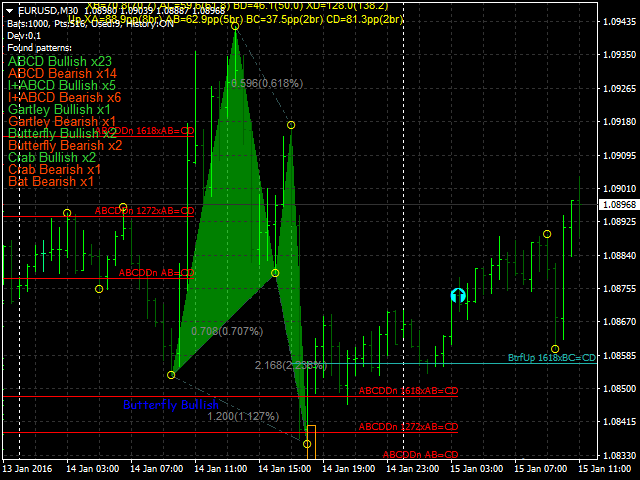 The indicator applies enhanced wave calculation allowing you to select parameters fitting your trading style. When a new figure is formed, the most probable price movement direction is displayed as a non-repainting arrow at a candle (bar) opening. 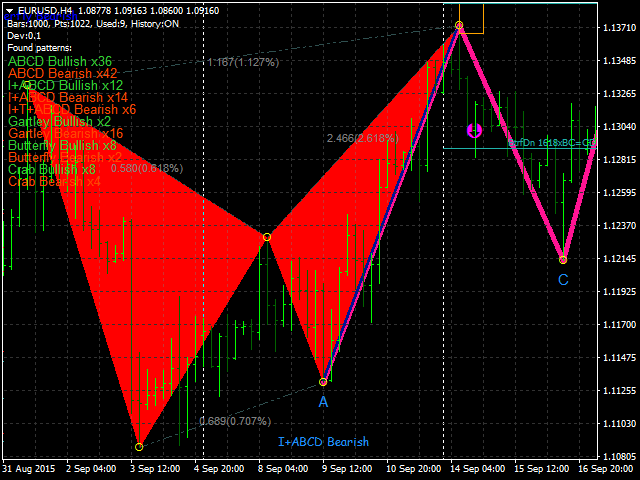 The indicator recognizes the following patterns and their varieties: ABCD, Gartley (Butterfly, Crab, Bat), 3Drives, 5-0, Batman, SHS, One2One, Camel, Triangles, WXY, Fibo and Vibrations. Only display of ABCD and Gartley patterns is enabled in the settings by default. Plenty of additional customizable parameters are provided. 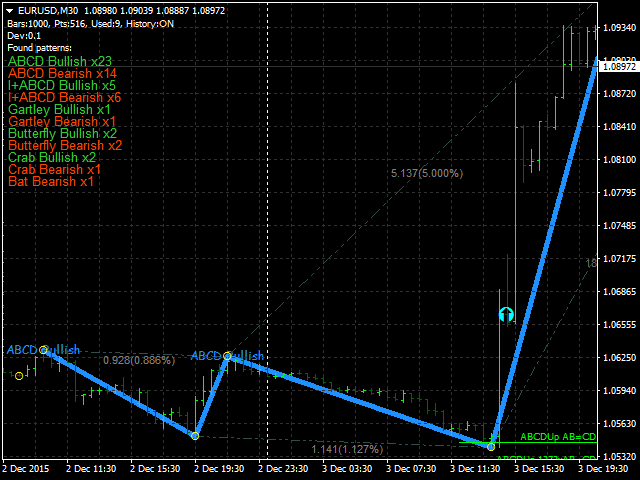 All indicator parameters can be found here: https://c.mql5.com/31/98/params.txt (in Russian). 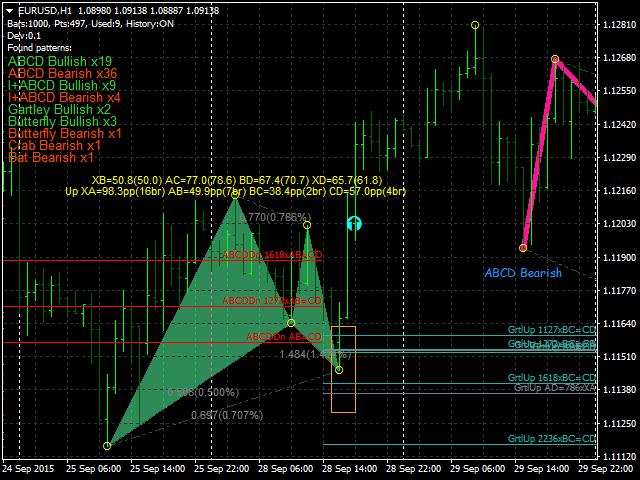 The best Harmonic indicator, no repaint!! 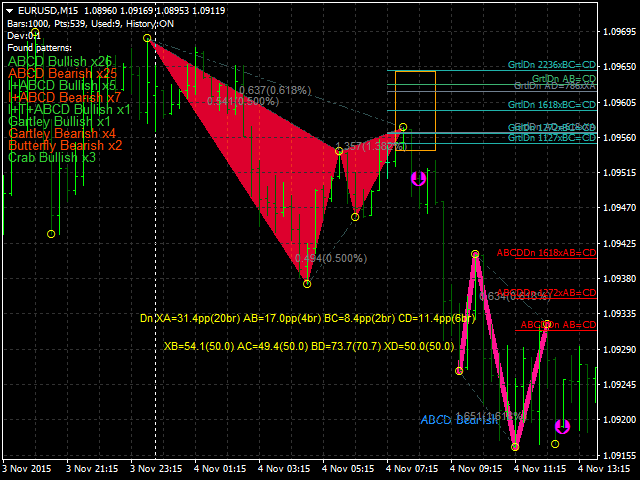 Update: So far 3 out of 3 winners using 1H and 4H ABCD patterns using your indicator..........very easy to use well done sir!!! Included an additional check to see if the array size is exceeded when there is insufficient data in the quote history. Fixed the calculation of the Fibonacci level vertices if there is insufficient data.